Hundreds of people with real or perceived mental health conditions remain chained in prayer camps in Ghana, one year after the government pledged to enforce a ban on shackling - this is just one of the many instances mentioned in a 46-page report released today, World Mental Health Day. 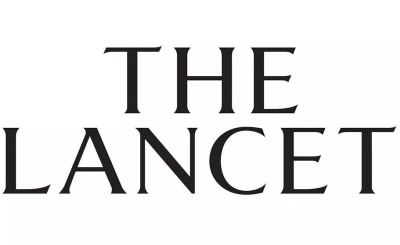 The work of 28 global experts, as well as people who have experienced mental illness, the document calls for an end to human rights abuses such as shackling in their homes or institutions, torture and imprisonment against mental health patients - and will be presented at the first Global Ministerial Mental Health Summit in London. 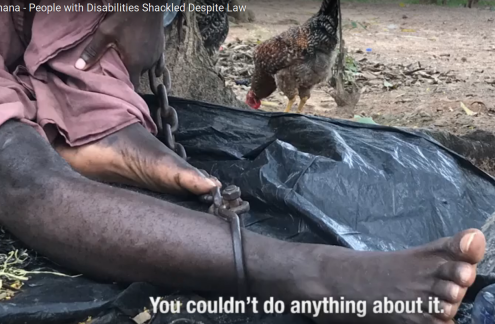 Hundreds of people with real or perceived mental health conditions remain chained or confined in prayer camps in Ghana, despite some progress, one year after the government pledged to enforce a ban on shackling, Human Rights Watch said today on World Mental Health Day. 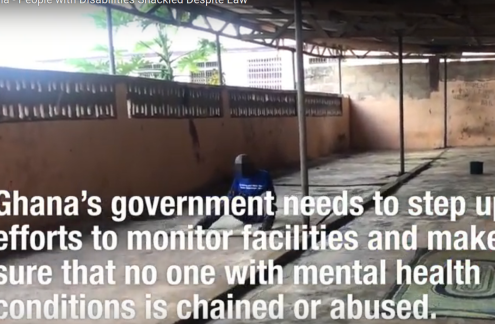 The government of Ghana should take immediate steps to end shackling establishing a monitoring system to ensure enforcement of the ban, and further developing community mental health services. 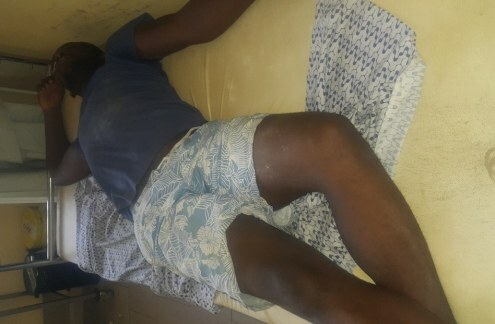 A sedated patient at Karu General Hospital's Behavioural Medicine Unit in Nigeria.